"Anne Connors is without a question an exceptional real estate agent. I was unsuccessful in selling my Crestline Park property myself. When turning to Anne for help, she immediately discussed my needs and implemented a plan to sell my home. Her enthusiasm combined with her knowledge and professionalism had my home sold within just a couple of weeks. I would recommend Anne to anyone and have done so since." - Chris and Lisa A. "Moving from Philadelphia, PA, away form family and friends was hard enough. Anne took the time to show us the city, talk to us one on one, ask the right questions, and basically made our transition so much easier. We have been in our dream home in Southside for two years and consider ourselves lucky to call Anne not only our Realtor but also our friend." - Ed and Colleen M.
"Anne helped us with ideas on how to get our home in Edgewood ready to go on the market. We were able to sell our home by ourselves, but we relied on her as our Realtor when looking for our new home. She listened to out needs and wants, and within a few weeks she had found us our new home in Vestavia. She was available to work around my husband's work schedule, and kept us updated throughout the closing process. Anne was always there when we needed her, and I would recommend her not only for her professionalism, but also for her empathy throughout the whole process." "Anne was always available during our search for a Crestline home. She kept us updated and notified us when a new property came available. She walked us through the process and treated us like we were her only client. I don't think we could have found our dream home without her!" 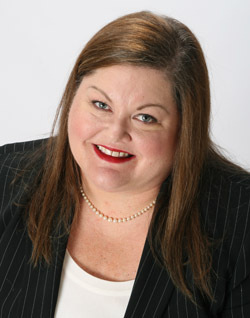 - -Sheila and Bob H.
"Anne is a consummate professional who went the extra mile for our family. We had had trouble selling our house in Mountain Brook as a for sale by owner as we lost the contract at the last minute so we asked her to step up and list it for us. She managed to find a buyer quick getting it under contract and sold within 30 days of us turning to her. She also managed to get us a 25% higher sales price so we ended up receiving more money than we expected. She kept us informed throughout the process even calling us and meeting on weekends to help work around our schedule. She is very knowledgeable about the Birmingham real estate market as well and is very well connected. Her connections and energy make her an excellent real estate professional. She also helped clean the house before the listing and got her mom's painter to do some painting which is another reason we ended up getting 25% more because of her. She thinks outside the box and when you have her educational background that is the reason why. I would heartily recommend her to anyone considering a real estate professional." - - Lara and Greg D.